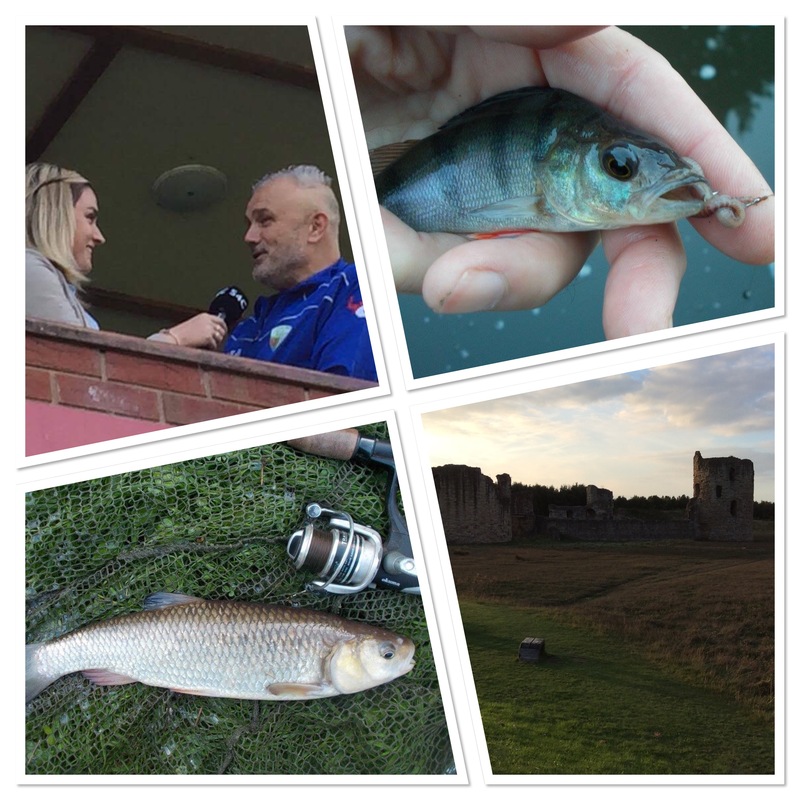 Always wanting to make the most of every opportunity to go fishing, with the week ahead looking quite busy, my angling plans revolved around short sessions on the local canal network. Living in the Black Country, I’ve got plenty to go at. 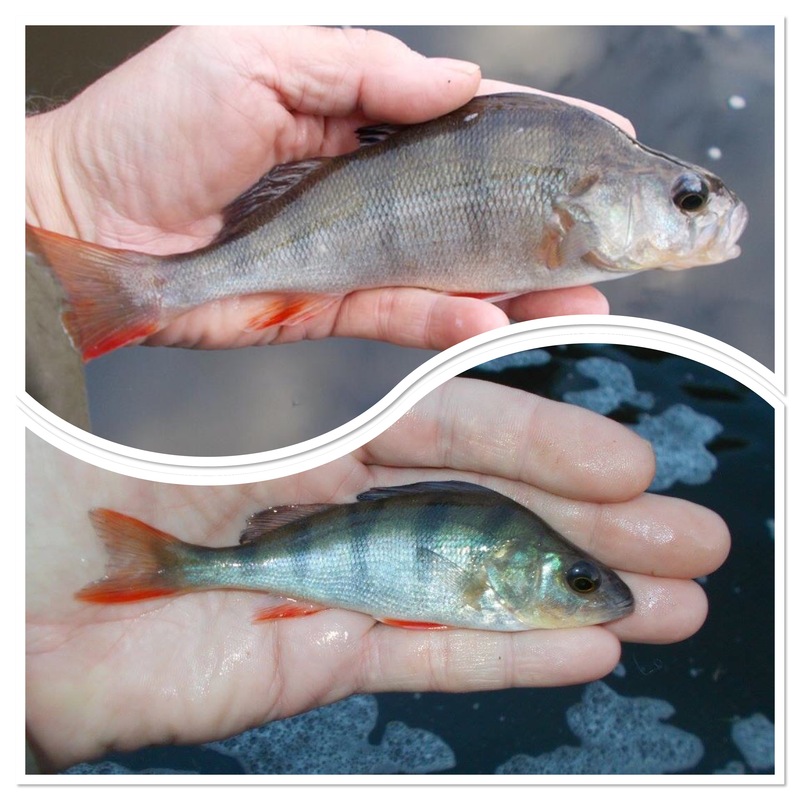 In last week’s blog entry I concluded my bankside activities with some deadbaiting for perch and that’s where I picked up this time round. In fact, as you read on you’ll see that was my focused plan of attack for the opening sessions. I’ve got into the habit lately of posting a very simple status on both my personal Facebook and Twitter status every time I hit the water’s edge. That’s it above. By the way, if you’re not on Facebook yourself, or you’re not a friend, could you do me a favour? I’ve embedded the Facebook post above as you can see, but how does it come out for you? Does it show ok? If you click on it can you observe the comments as they appear on my own timeline? Drop me an email at stewartbloor@outlook.com. Thanks. The first session saw a couple of runs and fish on the bank. One of the attractions for me with deadbaiting is that I find I catch a better quality of fish, although these were quite small. It did mean I wasn’t a blanker though. With a busy day of football ahead of me, on the bank at first light, I was making the most of the limited time until the first boat passed through. Fishing with a gudgeon section, although it’s setting your stall out for a better quality perch, it’s also quite limiting if you’re bothered about blanks. I’m not though and that’s a way of introducing my first fish-less session of the week. 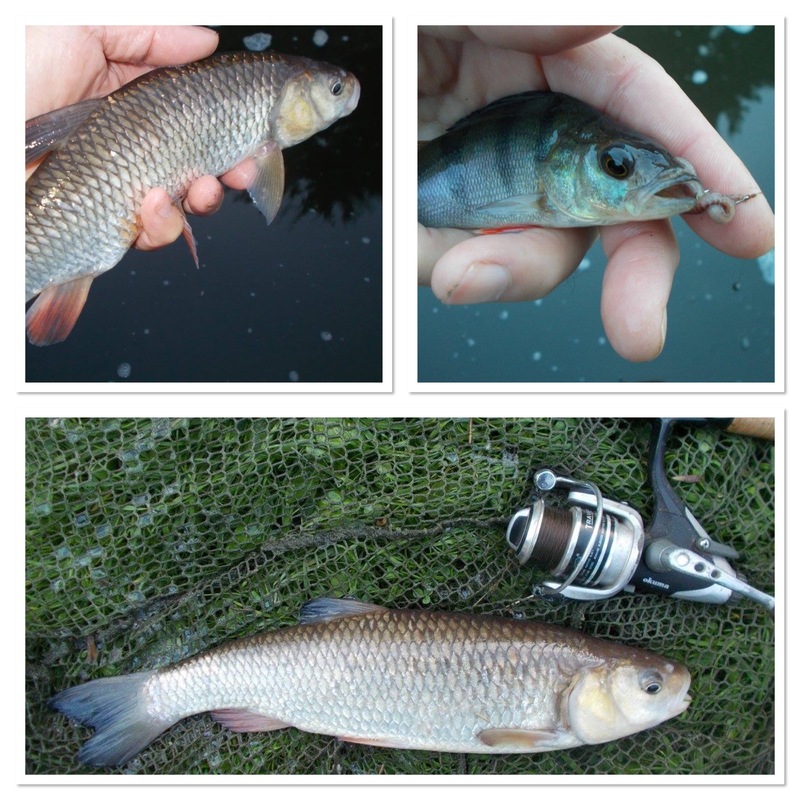 Feeding maggots, I had plenty of liners so I know that there were fish in the swim, but what I was really after though was a big perch. I only had about 90 minutes before the first boat put in an appearance, then I was on my way home. Before I arrived though, I had the encounter with the wren (above) and decided to post a wildlife-friendly status on Facebook. This is why I want feedback as to who can see it, as when it’s a long post you have to click to see more. I don’t really want part of my blog entry having a limited audience. After session two it was a case of home, shower, change and then off to my 30th game of the season, TNS v Bala Town. We ran a chat feature on Facebook Live and Periscope with the two chairmen, club officials and Sgorio (that’s the Welsh equivalent of Match Of The day) broadcasters all involved. It was a fantastic day all round and that’s where the embedded Facebook posts are useful as I can insert them, and introduce information, without having to turn the blog entry into a book. That’s why I’m after feedback as to who can view them and what you have access to. I was interviewed live on Sgorio prior to kick off and that’s referenced in the light-hearted post below. Although I got home very late, I was still up at first light for a couple of hours on the canal. Sticking with the gudgeon section approach, I again blanked. I knew though, that at any moment I could get a tap that would result in a big perch on the bank. That’s the specimen approach, it’s usually all-or-nothing. It’s not for everyone but I’m happy enough to take that road and it’s worked for me over the years. On the particular spot I fished though I have noticed that the bigger perch have been coming out at dusk rather than dawn. There might not be a reason known to the angler why this is so, but nevertheless being switched on enables you to work out patterns for specific venues and species. After fishing it was another busy day. Busy but blessed though, as I always like to point out. I took the service at Tipton Family Church in the morning. That’s my home fellowship; I’m the minister there and if you’re in the Black Country and fancy going to church, get in touch. We’d love to see you. On the evening I did another service, this time on the road at Providence Baptist Church in nearby Coseley. And, to emphasise the busy-but-blessed approach that I have to life, in between churches I managed my 31st game of the season. This time I went to watch TNS Ladies at Wolves Women, with the match being played at Hednesford Town. I have a weekly column on the TNS website called Rev’s Ramblings (read it via the link in the embedded post below) and it’s published every Monday. I enjoy writing and it’s one of the reasons why I have published a blog entry every Saturday since July 5 2003. I do get asked regularly about tips on writing a blog and one of the main pointers is keep it regular. That way people will keep coming back. I’ve done it myself, where I look at someone’s page and it hasn’t been updated, so I go back a week later and it’s still not been touched. At some point, when this keeps happening, you drop off. This entry you’re reading right now is the 689th consecutive Saturday that I have published one. Dedication? Yes, of course. It’s also a labour lof love though and that’s important. There’s lots of football in this week’s entry and my third game in as many days took me to the Number Nine derby between Stourbridge and Halesowen Town, so named after the bus route that exists between the two Black Country towns. I thoroughly enjoyed it and although I went as a neutral I found myself edging towards Stourbridge more and more, to the point where, as the game went on I was feeling the passion. As any football fan will tell you, the best way to get something from a game is to side with one team. Anyway, I’ll be back to watch them, when TNS and Wolves aren’t in action. Talking of the former, I invariably watch games from the angle of how would they do against the champions of Wales. It’s rare to find a local non-league team that comes anywhere close. Having said that though, The New Saints are full-time professionals. As I emphasise in the post below, a lot of people don’t realise just how good they are. I see them play 50+ times per season. I know. I was back in the Welsh Premier League the next day, when Bala Town were again the opponents. Although we were away, technically both teams were as it was played at Fflint Town, due to the Maes Tegid pitch not being available at the moment. The Lakesiders are undergoing the 3G revolution. Not that I complained though as it meant I ticked a new ground. A 2-0 victory saw TNS extend their lead at the top to eight points in as many games. Afterwards, I interviewed the Harrisons – manager Craig and captain Paul – for TNS TV. It was another one of those long days and by the time I got to bed it was 1.00 am. I was still up bright and early next day though, got some work done and then across to Walsall FC’s Bescott Stadium to see one of our scholarship teams win 5-1. Five goals and my fifth game in as many days. I really enjoyed it and will get to more of the scholarship games as there are several in the wider Black Country area. The Steve Evans referred to below is the Welsh international. Along with Steve Saunders (Scotland) and Greg Draper (New Zealand), we have three full-internationals at TNS. I’m doing well as I pursue my target of 100 games this season. I’m now up to 34, and they’re listed and published, and can be viewed via the link at the head of the page. No more football, but a couple of fishing sessions to round the week off. Both very short, and I again headed for the local canal. The first outing was an hour and a half to dusk and I caught chub and small perch. I did have a few taps but the fish weren’t as obliging as they have been of late when fishing worm. That was my tactic to wrap the week up; worm on a size 10 hook over red maggots and a free-running 1/3 ounce lead. I have documented the rig and set-up many times in recent weeks, so if you follow my blog regularly you’ll be aware of it. Driving home I spotted a tawny owl perched on a dead tree. With there still being minimal light, and the owl silhouetted against the sky, it would have made a great photograph. Unfortunately though, as I stopped the car, it flew away. I saw several butterflies this week as well, with the last sightings (2 small whites) coming on September 20 as I drove to Park Hall. The continuing mild weather is ensuring they’re still around as I’m seeing them without going out specifically looking. I love British nature and I’m going to include more of it in my blog entry, especially now that I’ve extended it.